Last week I told you about 3 shower products from Rituals I bought recently. In this same range (The Ritual of Happy Buddha) I bought two other products: the body cream and the hair and body mist. 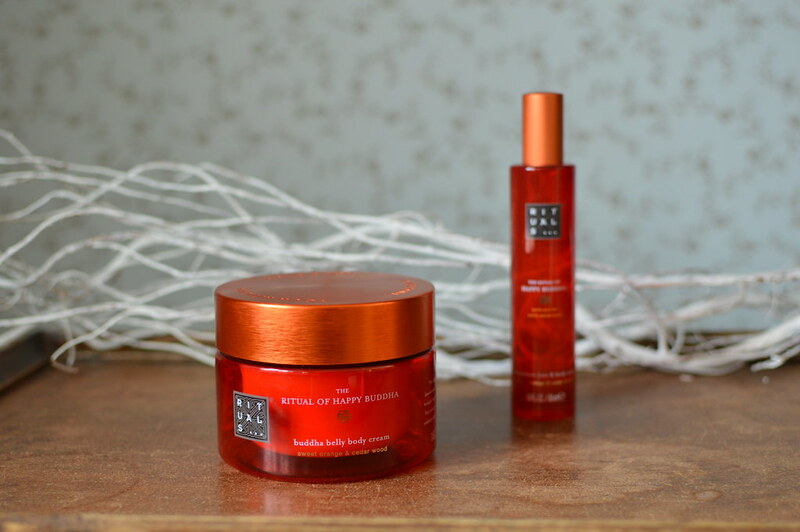 Let me share my thoughts about these two products with you! This entry was posted in Beauty, Skincare and tagged beauty, body cream, body mist, rituals, skincare.